We have heard it a million times, I would like to travel but I can’t because of my health or my age. We want to help you overcome those issues and get out there and possess the world. Travelling well and in good health is important no matter your age and good preparation is the key especially if you are more mature or have a chronic but manageable health condition. Lets face it most of us over 40 have something that gives us a bit of trouble. Between us we have bad hips, knees, shoulder, back spasms, arthritis and a heart condition or two but there is no way we are staying home. We hope this will help you get ready for your next trip whether it’s up the road, around the country or across the globe. We can also promise you that if something should happen and you do need care whilst on holiday the health care professionals at your destination will LOVE you for being prepared and may in fact be able to treat you more accurately and quickly because you gave them the RIGHT information. Do not leave home without the following information. A trip to your regular primary health professional – GP or Primary Care Physician. 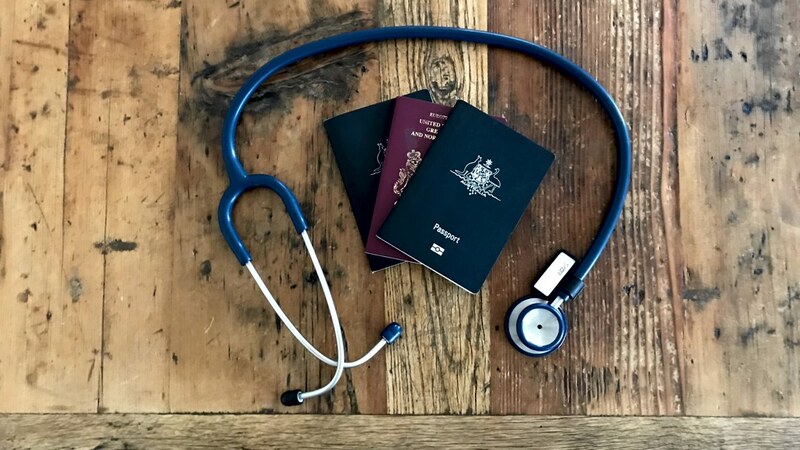 If you see an Allied health care professional such as a physiotherapist, podiatrist etc you should discuss your travel with them, they may be able to give you some advice about accessing assistance in other parts of the country or the world and update any treatment plan that you have. For example an update to orthotics for your shoes may be needed if you plan to do a lot more walking than usual. If you wear glasses or contact lenses see your eye health professional and get a copy of your latest eye examination results and prescription. There is nothing worse than being stranded on holiday and not being able to see, a copy of your results may assist with getting new glasses while you travel. Discuss your travel plans with your Pharmacist they may be able to give you a supply of medication, give you some medication travel tips and help you with information about medication management whilst you are travelling. If you see a mental health professional such as a Psychologist or Counsellor you should discuss your travel plans with them. Travelling can be stressful and confronting, preparing yourself for anxiety and stress whilst on the road is as important as ensuring you are physically fit to do so. They may be able to assist you with making a plan and advise you on ways to reduce your stress whilst travelling. Get Travel Insurance that is appropriate for your age, conditions, length of travel and countries you expect to travel in. Be sure to check the fine print, especially if you are relying on travel insurance associated with other insurance or your credit card. Discuss your travel plans with your family and friends. Leave a copy of your medical and health information with a trusted family member or friend. Someone that can be contacted if you have bad luck and end up unwell or lose the information while you are travelling. It is starting to look and sound like a folder full of paper isn’t it? If that makes you comfortable go for it but with modern smart phones and tablets there is no reason this information can’t all be recorded in PDF format, sent to you by email or scanned into a folder on your phone for easy storage. We keep ours on our phones and on the hard drive of our laptops. There are also multiple apps for storing health information, you should check these out before you travel so that you feel comfortable with using them. *An action plan is a set of instructions for you to follow if something should happen, these can be downloaded from the internet and most Primary Care Physicians will have one they prefer to use. If you would like more information or to discuss this information please contact us. If you found this information useful or know someone who might please share on social media using the buttons below. Couldn’t agree more. This is a very important point to keep in mind. Not everyone things of this before and during travels. Cheers!! Great post! I am only 28, but I suffer from terrible migraines that can sometimes put a huge damper on a vacation if one hits. 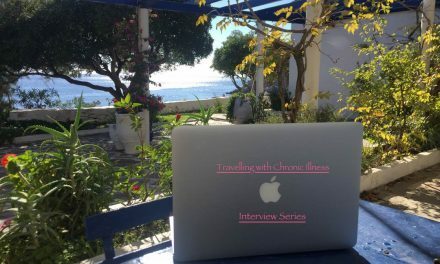 I love hearing how other people plan for traveling with health issues or concerns. Thank you for sharing! We always visit the GP to make sure our vaccinations are up to date before travelling. We never go travelling without travel insurance. Fantastic useful tips! This is some very useful information that I never thought about. I am healthy in general and but it did happen to feel sick on the road and end up in a clinic, twice. I was fine but I can’t imagine how hard it must be for someone who suffers a chronic disease. What a very thoughtful post. Its great to give such nice tips for anyone with health problems, and its nice to be prepared. good tips. Your post on travel health provides good info that travelers ignore many times and face unpleasant situation, sometime. Thanks. I totally agree with you, but a lot of people still don’t think about it! I always visit GP before my travels and also I do buy travel insurance. We never know what can happen and when we gonna need it. It’s better to be safe than sorry! Good points all. And not just for the older generation. Keeping info on apps and PDF’s is a smart thing to do. Thanks for sharing these points. Points related to subscriptions of medicines seem useless while packing but once you are there and you run out of your stock of medicines, it becomes a real pain! Thanks for sharing your valuable post. Such an essential things to do when travelling indeed, health insurance is vital of course all those papers/documents we must not forget and as well as vaccination cause there are some countries who do have this restrictions, I remember one time my private doctor said I’m all up except for Africa for every detail must be said to your doctor. thanks a lot for sharing this. Great post! This is great, detailed information that is vital for travel. I traveled with my parents who aren’t in the best health, we planned ahead and took extra precautions. They both were filled with so much excitement and adrenaline, they never got sick on the trip! Thanks for you tips! Great guide! Very helpful for traveling with family members, I always try to stay prepared for anything! Such a good post idea! 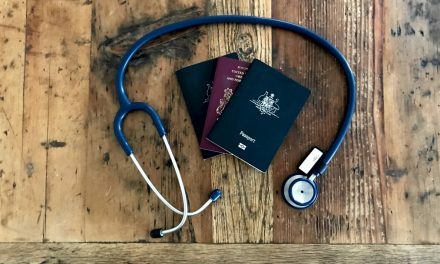 Healthcare when travelling can be so important yet we never really prepare for it! I’m really disorganised with this sort of stuff, I tend to just assume I’ll be fine but I really should be more organised… thanks for the reminder! I have never think about this kind of list but I find it very useful! These are interesting tips. My parents are over 60 and they love travelling but often complain how health is a big impediment in their plans. I love their spirit nevertheless, they make sure to travel at least 2 times in the year and I hope they keep it going. Will share this list with them, I am sure they will find it helpful. I hadn’t thought about any of this because I’m young and still healthy, but these are great tips! When I’m traveling with my father I’ll definitely be using this. Thanks for the info! Love this! I really want to travel the world, but I have MS. I never really though THIS in depth about it! Could have been a boo boo on my end. Thank you for the read! Thanks for posting this. Things I’ve never even thought about for myself, but as we usually travel with our little one, we make sure to get health info from her pediatrician. Another thing that can be helpful is to ask your doctor about the names of any medication you need or might need (instead of the brand names) so that it’s easier to find when abroad. As an example, our little one sometimes suffers from infections on her nails or scalp and has VERY sensitive skin. The brand name of cream that we use is when it pops up is Lamisil but we asked the doctor about it in case we needed it abroad and knowing the non-brand name really helped when we were in Italy! Very informative and could be a life saver for many!! This post is super helpful for beginner travellers like myself! Thanks for the tips! Interesting post really liked it, and I will use your tips for traveling. How nice of you to write about this! Well written and informative! Interesting pieces of information. Planning before travel is more important than travelling itself. thanks for giving the guidelines to follow before travelling. Medical assistance and travel insurance are really important during travel, Hope it will help the travelers to have a safe trip. Thank you. Hi Hannah, thank you for your comments, my years as a health care professional certainly helped us put together this information.